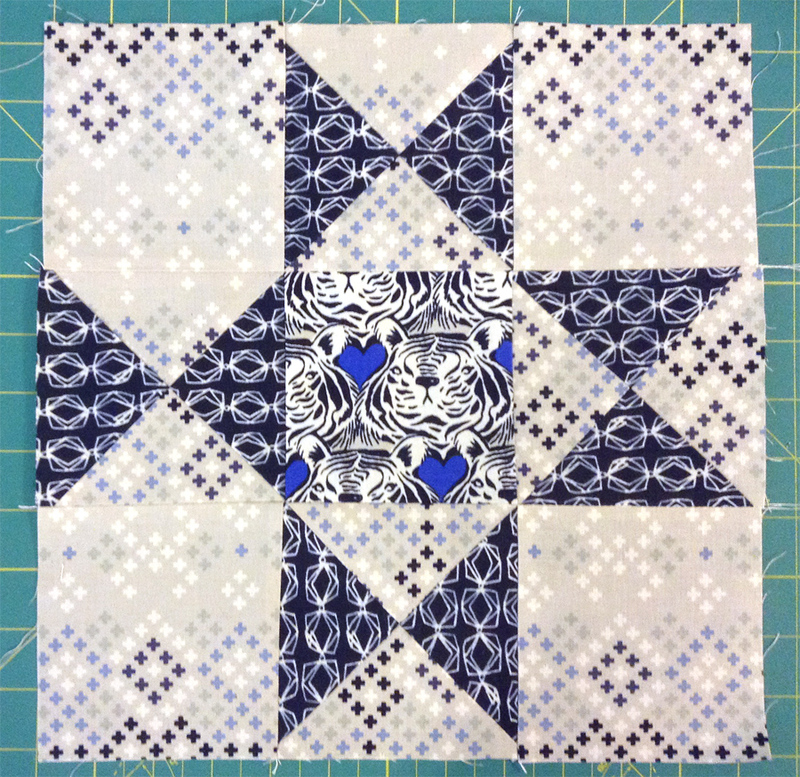 For Week 4 of the Drunkard's Wife QAL, we'll be making the Ohio Star Mint Julep block. 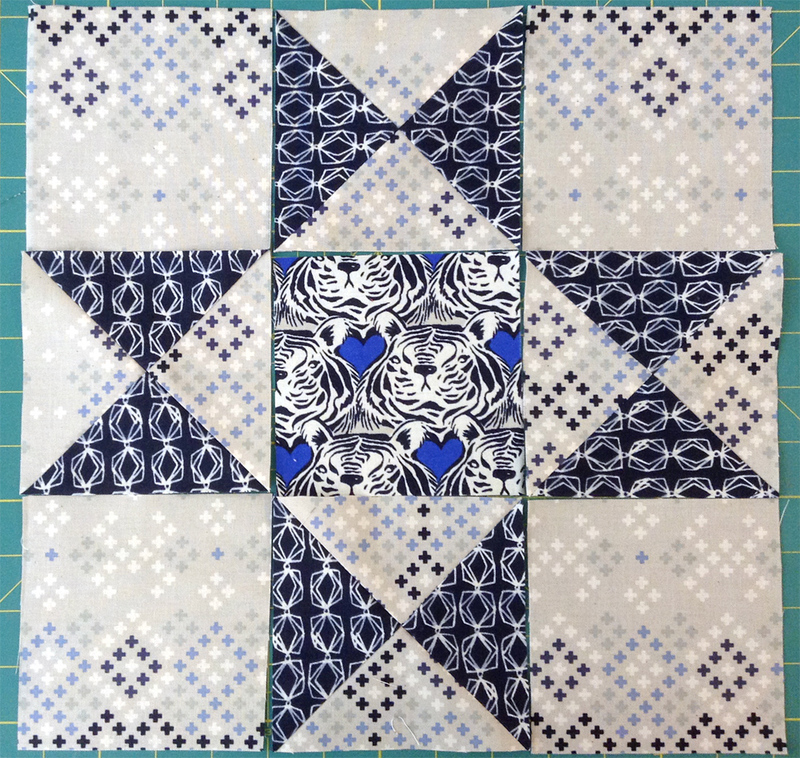 B - (4) - 4.5" x 4.5"
C - (2) - 5.5" x 5.5"
D - (2) - 5.5" x 5.5"
Follow this tutorial to make (4) quarter square triangles with your C and D pieces. 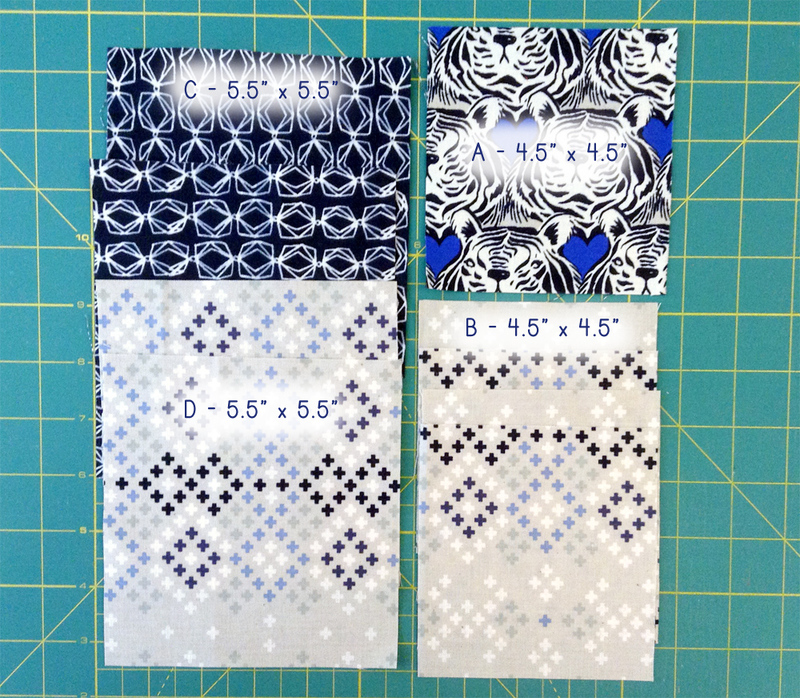 Each C + D pair will yield (2) quarter square triangles. Trim them to 4.5" square. Instead, make some mistakes. Rotate a quarter square triangle 90 degrees. Chew on it a little bit. Whatever you do, make sure it cause restaurant employees to offer you the children's menu because you're obviously...special. I"m not participating but boy am I enjoying the post, while I have a gin and tonic of course. Ha! The above comment made me laugh! !